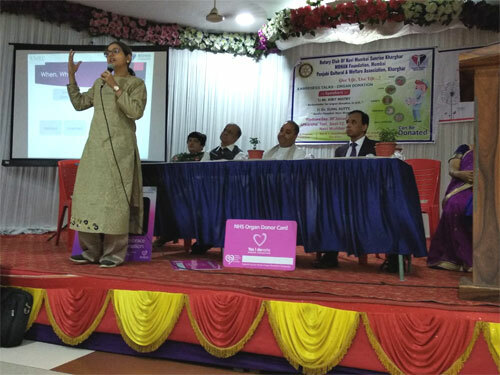 On 30th January 2019, MOHAN Foundation Mumbai was invited by Rotary Community Centre (Khaghar) and by Ms. Kirti Mehra (Vice-President) of Punjab Culture and Welfare Association (Kharghar) to conduct an awareness session on Organ Donation for their Rotarians as Mr. Kirit Mistry (Ambassador of organ donation in U.K) was invited to share his view about Organ Donation. 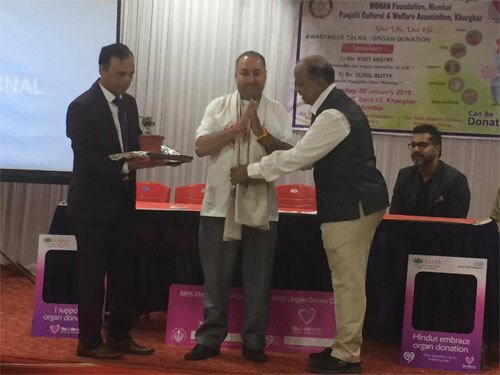 Mr. Bhal Shekhar Chilana (Project Manager) began by welcoming honourable guests and introduced Dr. Sunil Kutty (Neurosurgeon) from Apollo hospitals. Dr. Sunil Kutty (Neurosurgeon) started his session byexplaining his role in head trauma cases. He informed that his first duty is to save the patient life but, if the patient is having extensive bleeding in the brain that had caused irreversible brain injury the patient cannot be salvaged and is declared brain dead. In this case surgical intervention also cannot help the patient as there are no brain reflexes & important functions like breathing gets hampered and patient is supported by Life Support system. So in brain dead cases organs can be optimized and donated which can give new life to patients suffering on the waiting list for organs. Sir, briefly explained about the concept of brain death along with difference between brain death and coma. 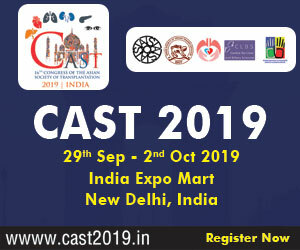 At this crucial time when the patient is brain dead and organ can be donated the Counsellor from MOHAN Foundation comes into picture for giving emotional support to the patient family and explaining them about organ donation thereby acquiring consent from the family for organ donation. 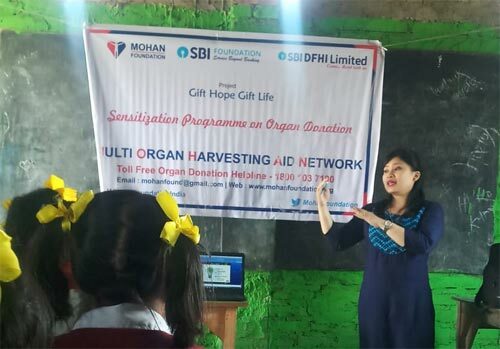 Mrs. Jigisha Yadav (social Worker from MOHANFoundation) started the session by introducing MOHAN Foundation, she explained that MOHAN is not a name of a person; it’s an acronym for Multi Organ Harvesting Aid Network. 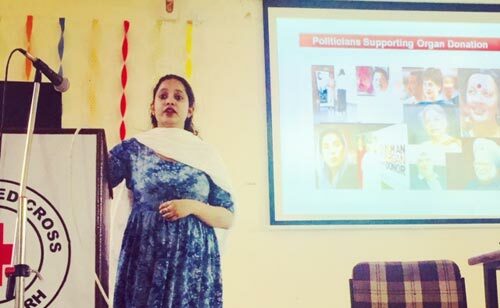 Then she shared its mission, vision and philanthropy. 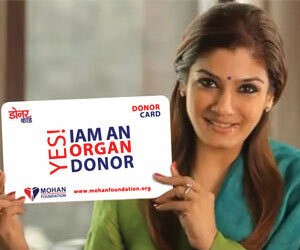 The concept of organ donation was then introduced in detail with explanations about the types of death viz. Cardiac & brain death. She also elaborated about the organs and tissues that can be donated in both the cases. Information about organ allocation, and distribution were also shared. 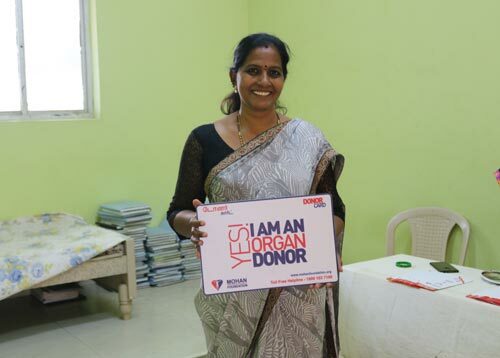 She ended the session by felicitating two Donor families. 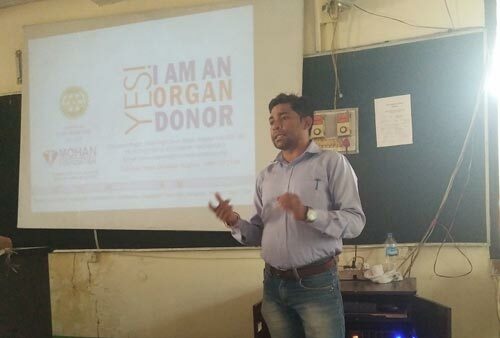 Thereafter Mr. Bhal Shekar Chilana (Project Manager) shared his story about he went for Mumbai to London road trip for spreading awareness on organ donation. He also shared story about the transplant surgery of her daughter that inspired him to join the noble cause of organ donation. 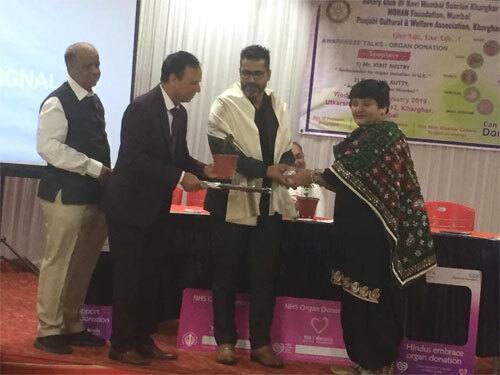 Dr. Sunil Kutty(Neurosurgeon) from Apollo was Felicitated by Ms. Kirti Mehra (Vice-President) of Punjab Culture and Welfare Association (Kharghar), Mr. Bhal Shekar Chilana (Project Manager) was felicititated by Ms. Jigisha Yadav from MOHAN Foundation and also two Donor Family were given a token of respect by giving shawl, Nariyal, Tulsi, and a Frame. 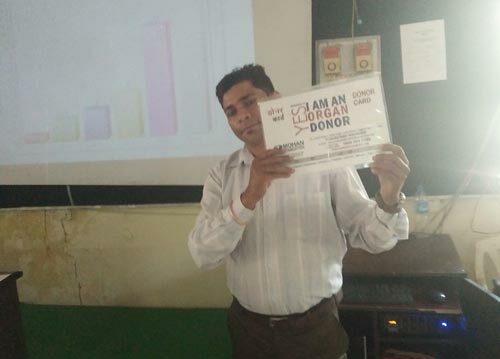 1st Donor was Father of Pt. Sachin Lohakare, age (28) was declared Brain Death due to fall from electric poll as, he was working as an electrician and father tooka decision to donate his Heart, Liver and both Kidneys. 2nd Family was the wife of Pt. Bipin Shah, age (54) was dead due to cardiac arrest. And wife took the decision to donate his Tissues like eyes (corneas) and Skin. Lastly Mr. Kirit Mistry (Ambassador of organ donation in U.K) shared the way they work in UK along with government and how they spread awareness there in their different communities with the help of few stories. There were around 40 Rotarians members. Mrs. Jigisha Yadav (social Worker from MOHAN Foundation) appealed to the audience to take online pledge. 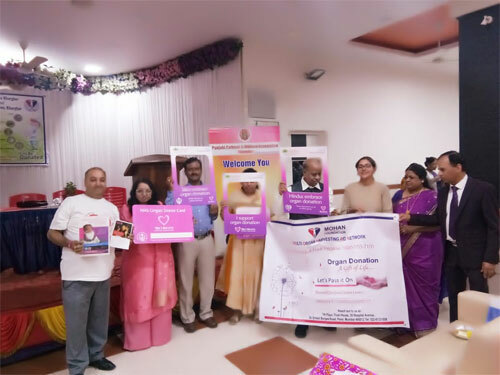 We thank Mr. Prakash (President of Rotary) and Mr. Bhal Shekar Chilana (Project Manager), Mr. Chandrashekar (secretary) and Ms. Kirti Mehra (Vice-President) of Punjab Culture and Welfare Association (Kharghar) for inviting us and supporting the cause of Organ Donation.